Tell us how you would like your copy personalized. When completing your online order, include any personalization requests in the ‘Order Notes’ section during checkout. Given that all books are autographed and possibly personalized, there will be no refunds. A $5.00 shipping and handling fee is added per book. MI residents add 6% sales tax on product and shipping charge. 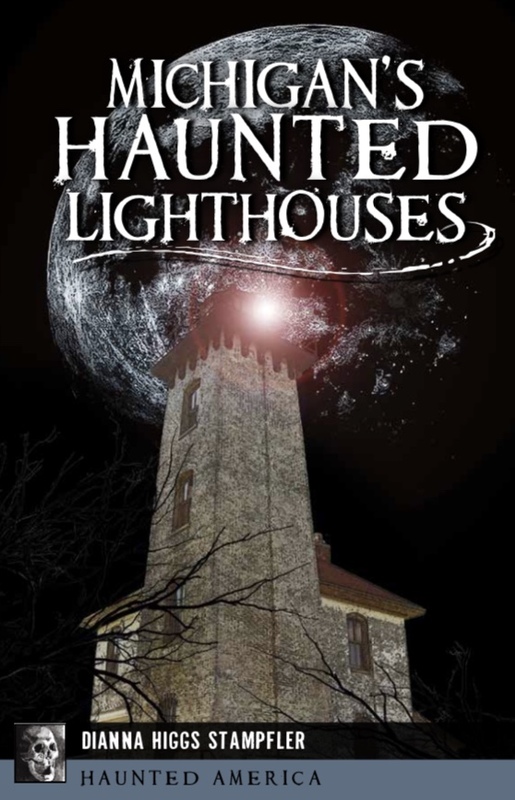 Looking to book a presentation of “Michigan’s Haunted Lighthouses,” including a book signing? Click here for details or email MiHauntedLights@gmail.com for dates and rates. 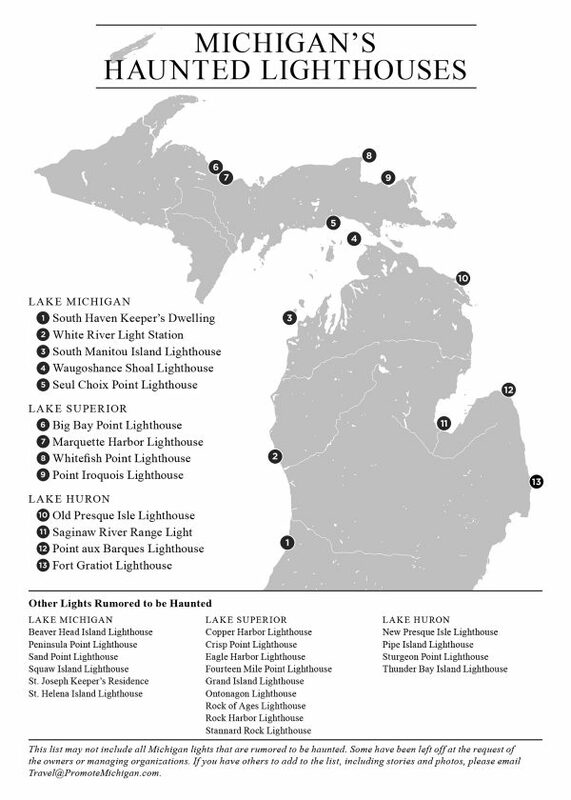 Michigan is home to more lighthouses than any other state and some 30 of those are rumored to be haunted by the spirits of former keepers, mariners and others with ties to these historic beacons. Inside the pages of “Michigan’s Haunted Lighthouses,” long-time writer and promoter of all things Michigan, Dianna Stampfler, shares stories of those who dedicated their lives—and afterlives—to protecting the Great Lakes shoreline. Michigan has more lighthouses than any other state, with more than 120 dotting its expansive Great Lakes shoreline. Many of these lighthouses lay claim to haunted happenings. Former keepers like the cigar-smoking Captain Townshend at Seul Choix Point and prankster John Herman at Waugoshance Shoal near Mackinaw City maintain their watch long after death ended their duties. 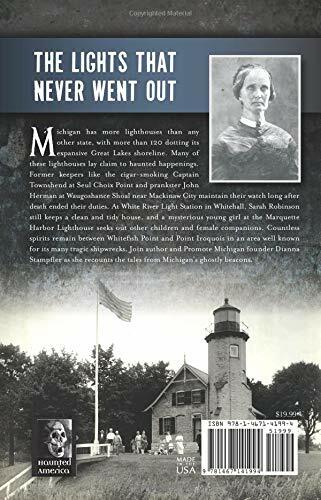 At White River Light Station in Whitehall, Sarah Robinson still keeps a clean and tidy house, and a mysterious young girl at the Marquette Harbor Lighthouse seeks out other children and female companions. Countless spirits remain between Whitefish Point and Point Iroquois in an area well known for its many tragic shipwrecks. Join author and Promote Michigan founder Dianna Stampfler as she recounts the tales from Michigan’s ghostly beacons.